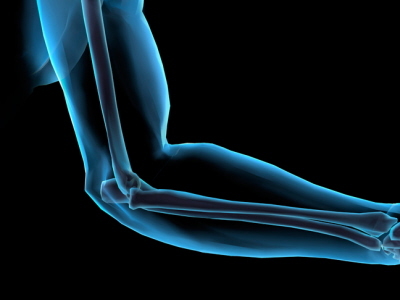 Shared by ProHealth is Dr. Peter Lowe’s assessment of joint hypermobility in chronic fatigue syndrome. Is The Physical Examination Normal in CFS? Part 2: Joint Hypermobility, here. As you will see, I too made this connection in our book “Integrative Therapies for Fibromyalgia, ChronicFatigue Syndrome, and Myofascial Pain: The Mind-Body Connection (rated in the top 100 books on Diseases & Physical Ailments on Amazon in 2013) if you read more about joint hypermobility and Ehler’s Danlos Syndrome on my website here. How coincidental could this be? Another study suggests this phenomenon goes undiagnosed in irritable bowel syndrome, a common comorbid disorder to fibromyalgia, which often overlaps with CFS. French investigators noted some stark realities in fibromyalgia patients. Hermanns-Lê T, Piérard GE, Angenot P. [Fibromyalgia: an unrecognized Ehlers-Danlos syndrome hypermobile type?] Rev Med Liege. 2013 Jan;68(1):22-4. I can only speak from what I found in my literature review for the 434 page book and my own personal experiences. A stark reality for me is that my own skin is that of someone on long term steroid therapy, but I don’t even tolerate steroids. My wounds heal so slowly that one of my doctors said I should always have a wound care specialist. My skin connective tissue tears like paper and bruises from a feather touch. I have had four shoulder surgeries, one complete reconstruction because it would not stay put, and the other three because of tendon and cuff tears. My hips still pop in and out at will, only contributing to fall risk and aggravation and development of more trigger points, piriformis and sacroiliac pain, and hip bursitis. I have suffered many severe joint sprains throughout my life. I can still put my hands flat on the floor and my therapists are amazed at my flexibility in light of my age and the severe myofascial pain syndrome. And yes, before arthritis, I was what many referred to as double-jointed. Are our doctors giving this connection serious consideration? are susceptible to myofascial pain syndrome? Keep up the good work Dr. Rowe and fellow astute investigators. A physician should never underestimate the value of a skilled physical exam. We salute you. Fibromyalgia expert on Sharecare, here. Participant in the Pain Acition Alliance to Implement a National Strategy, here.